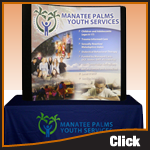 When performance and quality matter, turn to Prodisplays for all of your trade show, exhibit, event and conference needs! 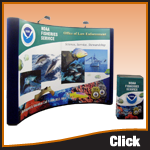 Buying your trade show display from Prodisplays gives you more than just a high-quality portable display... we also provide outstanding customer service and support. 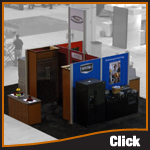 With over 50 years of combined experience, along with our vast resources and knowledge, we are equipped to help you get the edge over your competition. 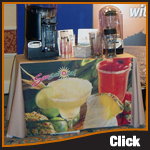 We use only top of the line products and firmly stand behind what we sell. 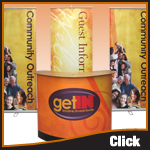 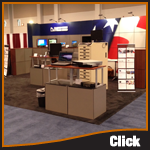 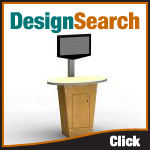 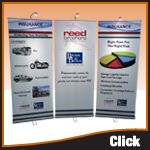 Please feel free to browse this site to view our extensive line of trade show display products. 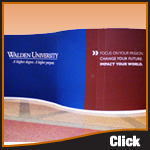 So visualize your success with a PRO! 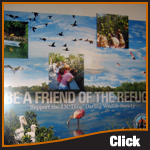 Call us for a free consultation so we can assist you in choosing the right display for your displaying needs.